LOS ANGELES – For the weekends of October 7-8, 14-15, 21-22 and 28-29, Metrolink is performing maintenance work on the Antelope Valley Line which will interrupt service for trains 260 and 271. Work crews will be installing new rail and rail ties to ensure safety and reliability of the rail system. On Saturdays, Oct. 7, 14, 21 and 28, Metrolink train 271 will be available from Los Angeles Union Station to Via Princessa. Bus service will transport passengers from Via Princessa to Vincent Grade/Acton, Palmdale and Lancaster stations. On Sundays, Oct. 8, 15 and 29, Metrolink train 260 will be available from Via Princessa to Los Angeles Union Station. Bus service will transport passengers from Lancaster to Palmdale, Vincent Grade/Acton and Via Princessa stations. For Sunday, Oct. 22, Metrolink train 260 will be available north of Vincent Grade/Acton and south of Via Princessa. Buses will transport passengers between Vincent Grade/Acton and Via Princessa that day only. Buses will depart on train schedule times, with possible delays of up to 30 minutes. 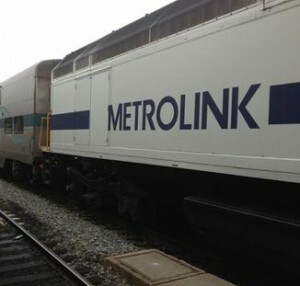 For additional details, visit www.metrolinktrains.com.